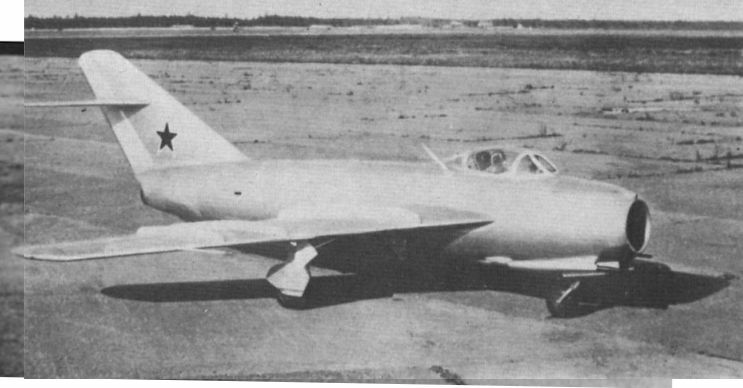 The SI prototype of the MiG-17, first flown in January 1950, after the addition of a third wing fence. Wingtip pitots are absent. Another Fresco-C on display outside the Armed Forces Museum, Moscow. 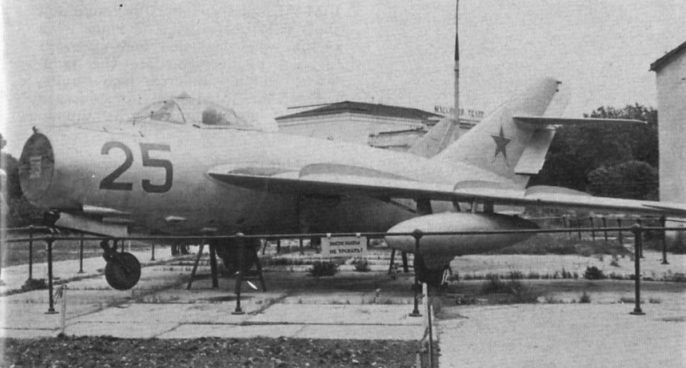 The main production version was the afterburner-equipped MiG-17F, seen above with a pair of 240 lit underwing drop tanks. 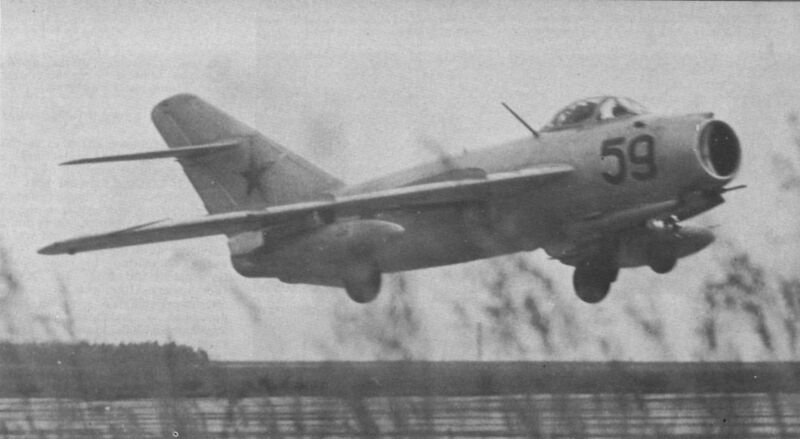 Visible on this original production version MiG-17 Fresco-A, are the underwing tanks and the new airbrakes with external jacks. МиГ-17 стали поступать в войска в конце 1952 года и, соответственно, не смогли принять участие в войне в Корее, прославившей МиГ-15бис. Характеристики новой машины не настолько превосходили предшественника, чтобы сворачивать производство последнего в военное время. Максимальная скорость МиГ-17 была выше, но маневренность улучшилась не сильно, а на некоторых режимах была даже несколько хуже, чем у МиГ-15 из-за возросшей массы и уменьшенного размаха крыла. 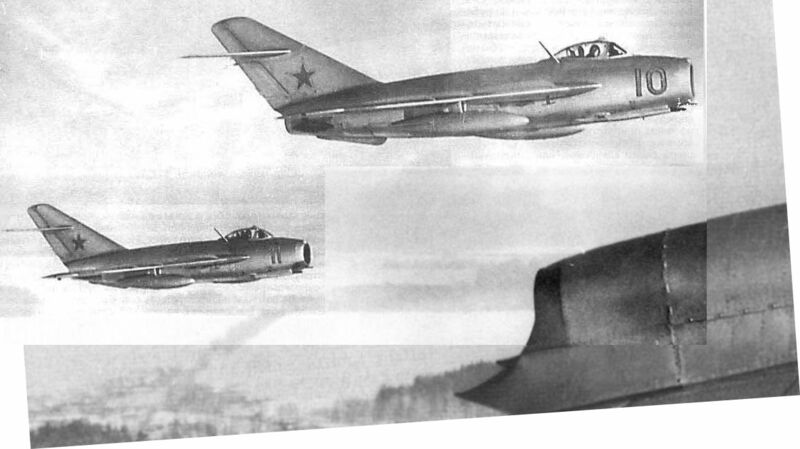 A brace of MiG-17Fs display their characteristic lines to the camera. A Czechoslovak Air Force MiG-17F on public exhibition. This MiG-17F Fresco-C of the Indonesian Air Force displays the fuselage cutaway around the jet pipe and further air brake modifications. 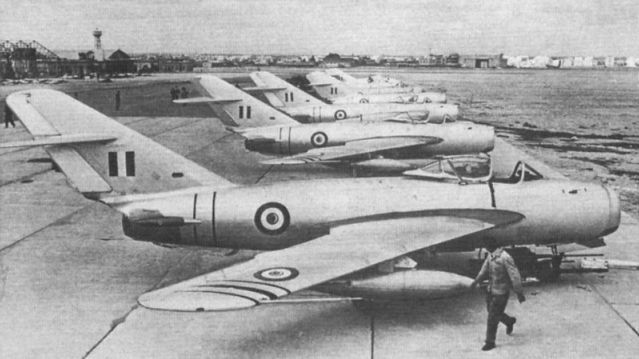 Egyptian Air Force MiG-17Fs lined up at a military airfield near Cairo on March 9, 1957. Нигерийский МиГ-17Ф, аэродром Харикорт, 1969г. 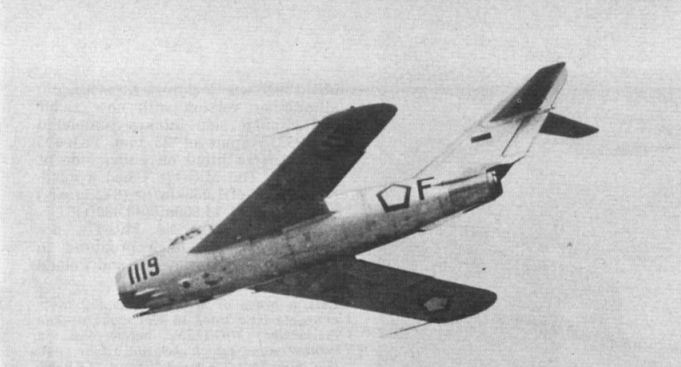 One of several Nigerian Air Force MiG-17Fs believed to have come from Egypt, photographed at Enugu in 1969. 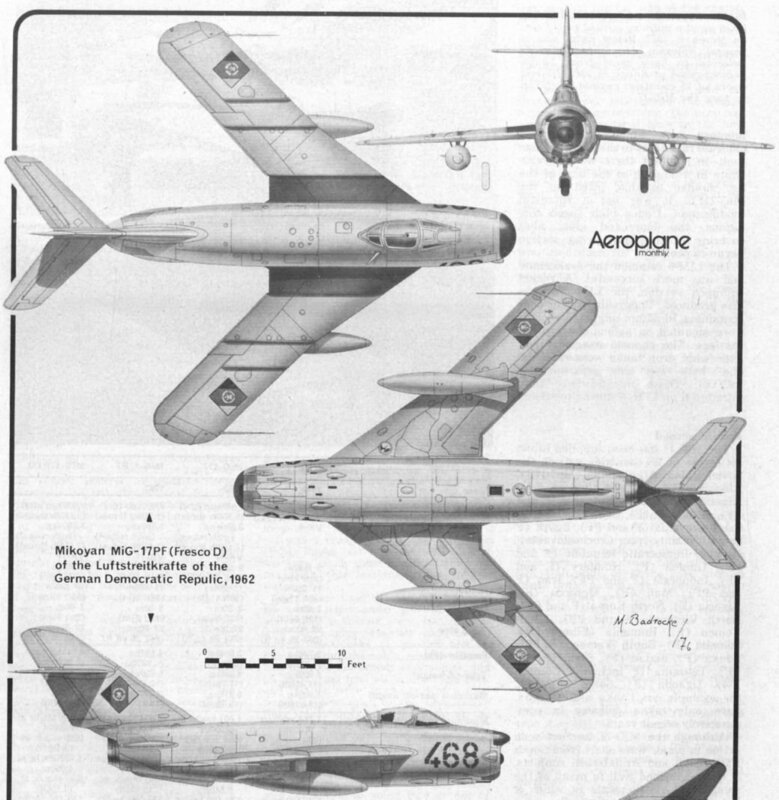 Nigeria is one of 28 countries outside the USSR to have the MiG-17.